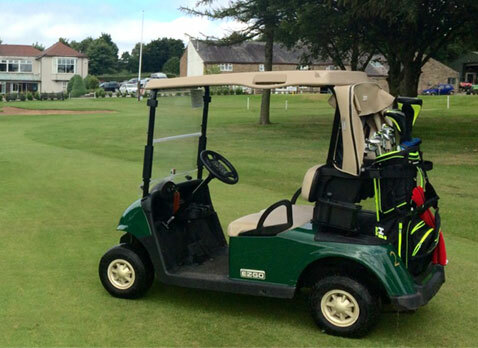 Bolton Golf Club offers the finest, friendliest, golf facility in the North West of England. Bolton Golf Club offers a variety of options to ensure you enjoy our outstanding golf course as a visitor. If you want to play a breathtakingly picturesque and challenging golf course in Lancashire, then look no further than Bolton Golf Club. Visitors are welcome throughout the week and can look forward to an excellent round, followed by some of our renowned catering and welcoming hospitality. Please call the professional shop on 01204 843073 or check our online tee-booking system for this week's cost and availability. County Card holders are entitled to a 50% discount off the standard green fee price. Make your round more enjoyable... Hire a Buggy! You can hire a two seater ride on an EZ-GO buggy.